This article originally appeared in an edited form at LobeLog. 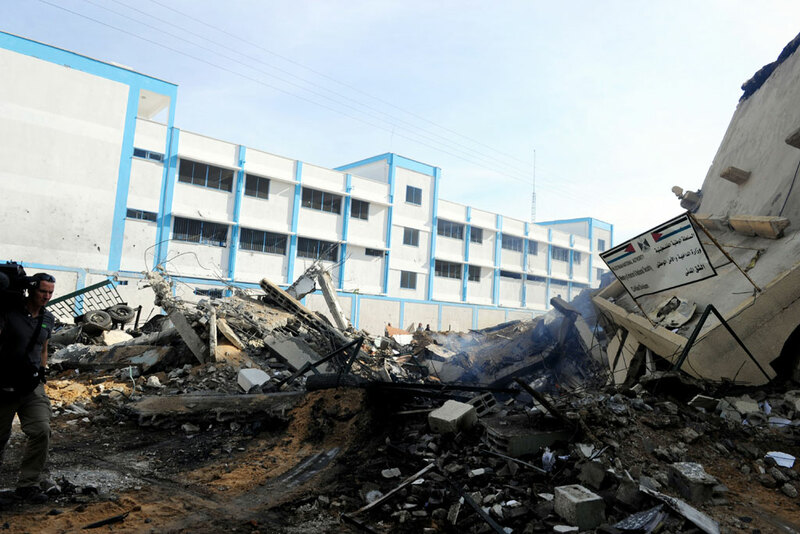 With U.S. bombs dropping in Iraq once again and Israeli troops having moved out of Gaza, the fighting between Hamas and Israel has faded a bit from the headlines. The battle for the narrative of the 2014 Gaza conflict is now stepping up its intensity, and, as usual, the truth seems to be losing. If one wants to understand what has happened in Gaza and in Israel over the past few months, it is important to understand not only the underlying causes, but the immediate triggers as well. It is something of a victory that one of those underlying causes, the siege of the Gaza Strip, has remained in the center of discourse, after spending much of the past seven years off the radar and outside of diplomatic and media discussions. There is a sure, albeit contemptible, way to get the attention of virtually the entire state of Israel. That is to kidnap some of its younger citizens. It worked with Cpl. Gilad Shalit, and it seems to be playing well again, this time with civilians (living in the settlements does not strip one of their civilian status under international law). Israel, as a whole, is riveted on the fates of these three young men. There is a national outcry in Israel when kidnappings occur that is even louder than when Israelis, even young Israelis, are killed. There is a sense of urgency; that something must be done to free the captives before a worse fate befalls them. The attention is widespread and constant, both in cases, like Shalit’s, where the captive is known to still be alive and in cases where the captives are believed or known to already be dead. Israelis press hard for a resolution to the situation. Political leaders do respond, but sometimes, sadly, they do so in self-serving ways. In my latest for Babylon Times, hosted by Souciant, I look at two subjects that each demand their own justice: Gilad Shalit and the many Palestinian prisoners held by Israel. The Gaza Flotilla disaster has shone a light on the siege of Gaza. After three years, the international community has finally stood up and said this must stop. Now the question is how. administration had made it clear that Gaza was not an issue they wanted to deal with. They preferred to advance the peace process with Mahmoud Abbas and hope Gaza would just go away. That was never going to happen, of course, but the Administration still seems to want to avoid dealing with Gaza if at all possible. The flotilla massacre made it impossible. At that meeting, I went through the list of reasons why the siege on Gaza was both unjust and against Israel’s better interests. I stressed throughout, and continue to do so today, that Israel has legitimate security concerns that it has every right to address. But that right does not mean all restraints are off. One can never accuse the neo-conservatives of a lack of hubris. No, Liz. It is we who were not ready for it, and to a lesser extent, our friends in Fatah. Indeed, even the Israeli government, then under the leadership of Ariel Sharon, turned more and more cool to the idea as the elections approached, fearing significant gains for Hamas (despite some re-writing of personal histories, exceedingly few expected an outright victory for Hamas, let alone the overwhelming one that occurred). Those elections, held under occupation in exceedingly difficult conditions, were universally praised as free and fair, and the results generated far less controversy than many American elections, including both of those which brought Cheney’s boss, George W. Bush to office. The ineffectiveness of Fatah’s leadership in ending or easing the occupation. The second intifada had simmered down in early 2005, but the revised and intense measures Israel had put in place during the intifada were mostly still in place by the end of that year. Palestinian life was perhaps at the lowest point it has been, before or since. While many Palestinians questioned the intifada, that question was often based in the notion that Fatah, under both Yasir Arafat and Mahmoud Abbas had so badly blown the negotiated approach that the intifada was the only choice many Palestinians saw. Corruption in Fatah. In 2006, before Salam Fayyad reformed many Palestinian institutions, corruption within Fatah continued apace. There is little doubt that corruption was a major problem under Arafat, who dealt with it as part of his system of control. Abbas was not so inclined, but also did very little to stem the tide of corruption in the PA.
For three years, Gilad Shalit has languished in captivity. That captivity is illegal and both the way it has been managed by Hamas as well as Shalit’s capture itself do not fall within the boundaries of “prisoner of war” status, but rather that of a hostage. Hostage-taking is a blatant violation of international law. Today, as Shalit enters his fourth year of imprisonment, the organization I work for, B’Tselem, has renewed its call for his release. It often happens that when one discusses Shalit the response is “what about all the Palestinian prisoners being illegally held by Israel?” B’Tselem, of course, does enormous and extensive work on that issue (click here for some of it). But it is important to break the linkage of such issues. The crimes of one side do not justify crimes on the other side, and that holds true even if the scale or frequency is very different. The issue of Palestinian prisoners must not be linked to Shalit because whether he is freed or not, the issue remains the same. 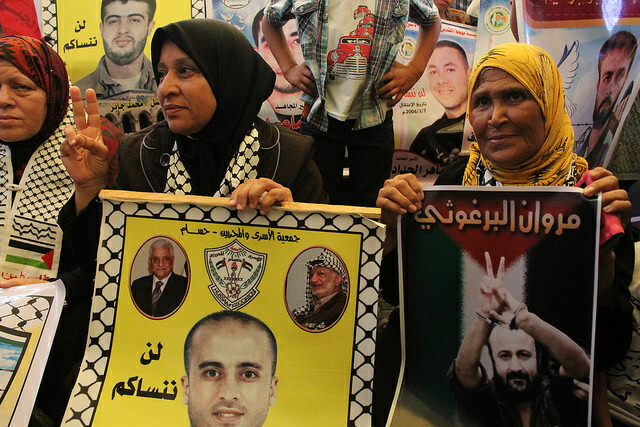 By the same token, whether those Palestinian prisoners are freed (or at least in many cases, tried) or not has no bearing on the need to free Shalit. Please check out my latest piece on allvoices.com, regarding the possibilities of indirect talks with Hamas. Click here to read it.